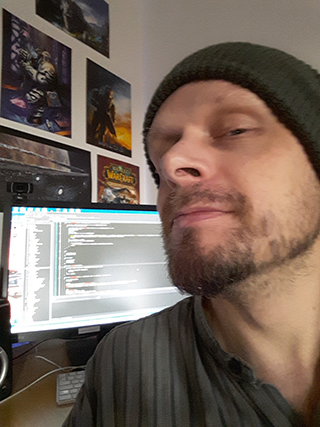 During this period I worked part time (60%) as a high school teacher in the fields of Database Programming and Multimedia / Desktop at NTI-Gymnasiet in Goteborg. As a first time teacher on this level of education I found this kind of work both challenging and rewarding, as it is largely a social / motivational undertaking. I am happy to say that this job has made me realize that I truly "like people", and especially working with developing the potential of young people. As part of my school work I spent a lot more time programming Flash / AS3; I worked on a small game together with two talented students during the first weeks of 2012 called TP-Man Nightmare. This in turn has allowed me to pursue further consultancy work for clients like Petfactory.